ah very nice wall. 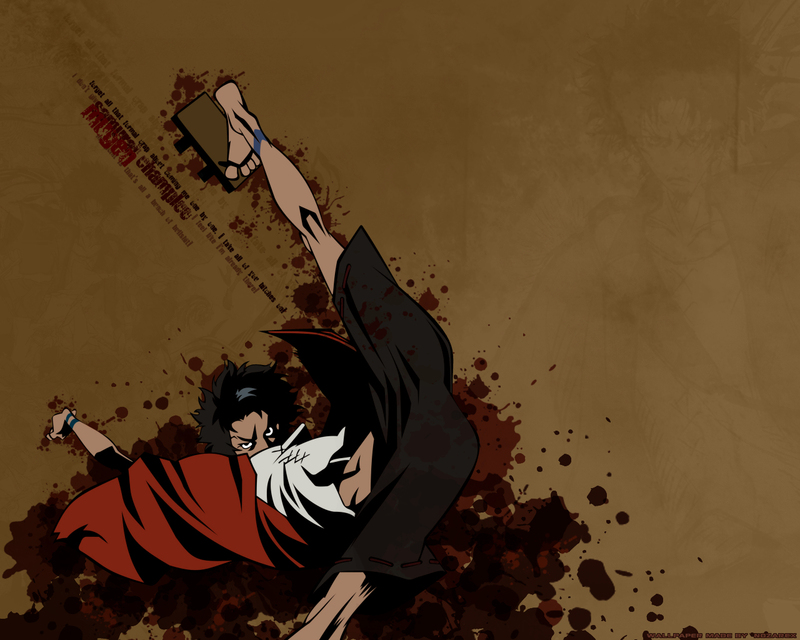 i love how all the samurai champloo walls have such clean and crisp images. there's just no exception. super wall. the blood was done very well. i don't know if i agree with the larger image to the right, it seems like you only put it in to fill up space but then forgot to take it out.